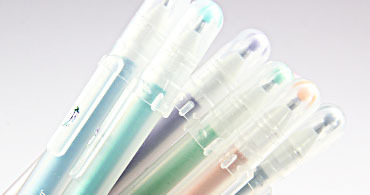 Which Gelly Roll pens work well on metallic paper and envelopes? 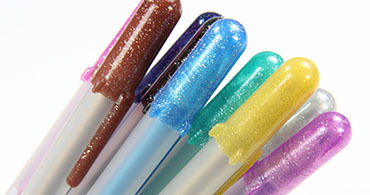 In our testing of all the different types of Gelly Roll pens, we find that shiny Gelly Roll Metallic Pens and sparkling Gelly Roll Stardust Pens perform best on metallic finish papers. We share our results in our video which pen works best on Stardream metallic paper. Are Gelly Roll pens acid free? Yes indeed! 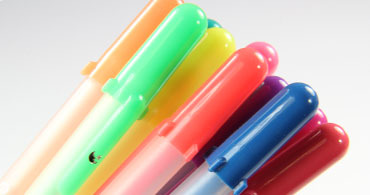 Gelly Roll pens are acid free, archival, and fade resistant. Do Gelly Roll pens instantly dry? 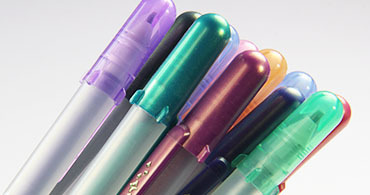 No, gel pens take a few seconds to dry (some styles longer than others), as they are wet gel/ink. Always leave a bit of drying time before touching, and be careful not to run your hand along wet ink while writing to avoid smudging. How many envelopes can I address with one pen? 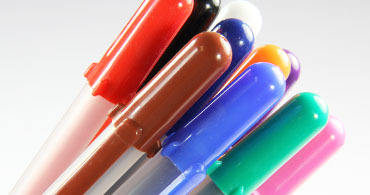 The amount of envelopes you can address with one Gelly Roll pen will vary with how large you write and how much detail is in each address; but on average, one pen yields about 100 envelopes.